Regulation A+ expands existing Regulation A. Existing Regulation A provides an existing exemption from registration for smaller issuers of securities. Regulation A+ offerings can be used in combination with direct public offerings and initial public offerings as part of a Going Public Transaction allowing the issuer to avoid the risks of reverse merger transactions. Regulation A+ simplifies the process of obtaining the seed stockholders required by the Financial Industry Regulatory Authority while allowing the issuer to raise initial capital. 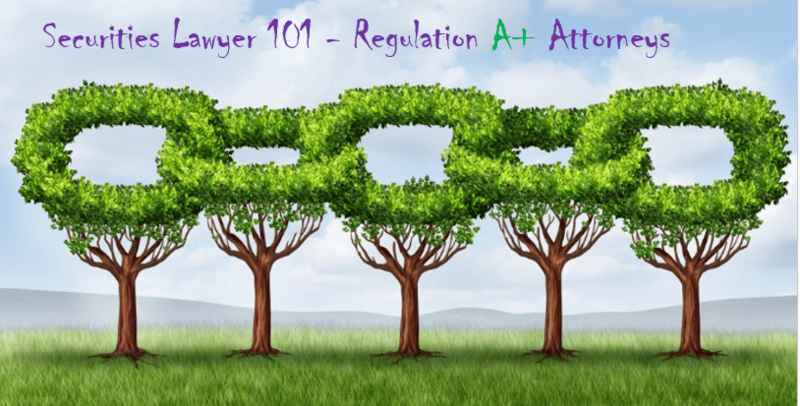 This blog post addresses the most common questions we receive about Regulation A+. Tier 1 of Regulation A+ is available for offerings of securities of up to $20 million in a 12- month period, with no more than $6 million in offers by selling security- holders that are affiliates of the issuer. Tier 2 is available, for offerings of securities of up to $50 million in a 12-month period, with no more than $15 million in offers by selling security-holders that are affiliates of the issuer. Shares sold in a Regulation A+ offering are not “restricted securities”. As such, resales by non-affiliates are not subject to transfer restrictions. Resales by affiliates (other than registered resales or secondary sales under Regulation A+) are subject to the limitations of Rule 144, other than the holding period requirement. What is a Form 1-A Offering Statement? Do the Financial Statements in Regulation A+ Offerings Have To Be Audited? Does Integration Apply in Regulation A+ Offerings? Because securities sold in Regulation A+ offerings are unrestricted, investors and shareholders have an exit strategy. Issuers can voluntarily become a full SECreporting company by using Form 8-A and list on a national securities exchange upon closing of the offering.